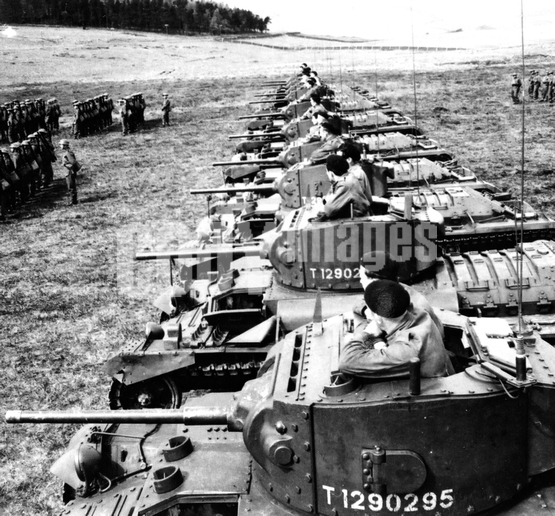 Caption: Weapons - Land - Tanks - Medium - WWII Polish Valentine tanks, Scotland 1942 Pictured during training exercise in Scotland. Polish tanks are pictured in line with troops. June 1942.